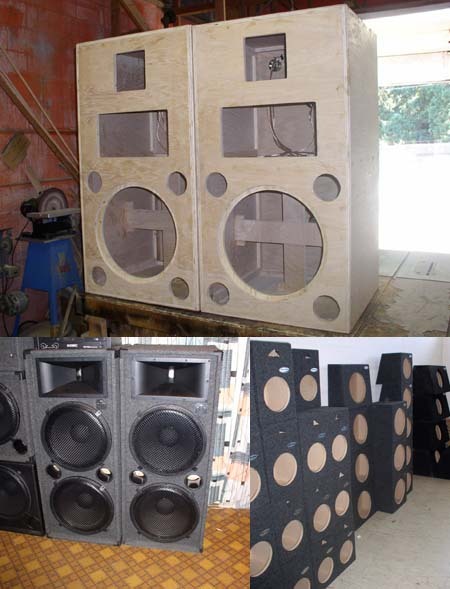 Jamac can construct a speaker cabinet for whatever your need may be. Whether your band needs it's own custom monitors, your car needs an amazing subwoofer, or your Concert Rig needs some massive sound reinforcement, Jamac can build speakers for whatever you may need! Jamac also stocks a wide variety of pre-made cabinets from subzero. These cabinets are well constructed, and feature a mixture of flexibility and affordability. Jamac also features many different advanced machines which enable them to tune your cabinets to perfection, and ensure that you get the best combination of speaker and cabinet!